← Thanks Jack Donnelly Khakis! Most people loathe rats. I was more neutral on rats until one of them decided to plunge to his death from my attic into the void space in the wall between my dining room and kitchen last week. Our house has plaster and lathe walls so getting him out is virtually impossible. So he slowly decomposes at his own pace. I am reminded of his demise every time I get a whiff of him. Hoping to prevent a recurrence of this odiferous event, I consulted a rat expert on what I needed to do to prevent rats from living in my attic. Apparently, the first step is to seal off your attic so more rats can’t get in. After that is accomplished, you have to trap the rats already in the attic and remove them from your home. I learned that you do not want to use poison on the rats in you attic. They often snuff it in your attic and then die up there and stink up the place. So this weekend I got down to the task of tackling my attic rats. Such a job requires tools, and I am happy to report that everything you need to complete the job can be purchased from firms that hire members of our extended American family. I went to my favorite hardware stores in Seattle, Dunn Lumber, and picked up some very heavy wire mesh. I needed to cut the mesh into smaller pieces to shut off the rat’s little entryways into my attic. Luckily, I was able to find a great tool for the job: Aviation Snips made by Wiss. Wiss makes all kinds of specialized hand tools: HVAC tools, plumbing tools, scissors, snips and utility knives. Wiss makes a very cool auto-retracting utility knife that prevents pillocks like myself from injury. Wiss makes six types of snips. My Wiss Aviation snips made short work of cutting my mesh into the shapes I needed to make little stout barriers to stem the flow of rats into my attic. I knew that rats are notorious for chewing through things, so I needed a way to secure my little rat barriers to the walls of my attic. Nails or brads might have done the job, but staples seemed a better bet, so I got some 1/2 inch leg Arrow staples for my Arrow T 50 staple gun. Arrow makes staplers, Hammer Tackers, Rivet Tools and Glue Guns. Not all Arrow tools are made in the U.S., but the majority are made on our shores. So with the aid of my Wiss snips and my Arrow T 50 stapler, my attic was rendered inaccessible to rats. But now, I had to do something about the rats undoubtedly lurking in the piles of blown in insulation that blanket my attic. Cowards that they are, they did not show themselves while I was staggering about in the attic. But I knew they would come out at some point, so I set up some traps designed to end their marauding forays over my ceiling joists. I selected six Victor Pest rat traps for the job. Victor has been making rat traps in this country since 1890. With rats, as with real estate, it’s all about location, location, location. To trap rats, the traps have to be set in the right location. 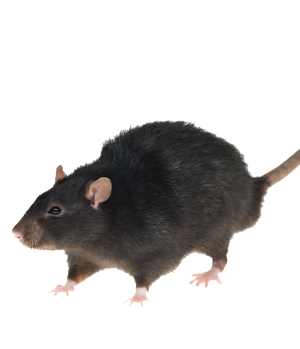 Rats are very smart, have very poor eyesight and a great sniffer. They are also very skittish. The run along walls because of their bad vision and as a protective mechanism since when doing so, they only can be attacked from three rather than four sides. They are very suspicious of new things in their environment, so with rats, as opposed to mice, you are advised to place your traps up in the attic next to a wall with bait for about a week before “arming” them. So my attic rats will be feasting on peanut butter located in my Victor rat traps this week. Starting next week, I hope to begin reducing my attic rat population when I arm my Victor traps. Seattle has a huge rat population, so I hope I can put a dent in it and prevent the rats from setting my house on fire when one of them decides that the romex wiring in my attic might be a tasty treat. This entry was posted in american made, made in usa, Seattle, Tools and tagged America Made, Arrow staplers, Made in US, made in usa, Victor Rat traps, Wiss tools. Bookmark the permalink. If you find the hole that rodents are coming through in your floor or wall, dont block it up unless its a hole to the outside. I had a hole in my second floor floor.And mice were coming up from my first fllor through it.So i knew exactly where to put my traps. I heard from Bill Bliss who works for Crescent which makes Wiss snips. He told me the different colored handles relate to different kinds of Wiss snips. According to Bill, the Red-handled (M1R) Wiss snips are specially designed to make cuts from straight to sharply curved to the left. The M1R is Wiss’ most popular snip. Green-handled (M2R) Wiss snips are specially designed to make cuts from straight to sharply curved to the right. Yellow-handled (M3R) Wiss snips are the best choice for the typical DIYer, since they are more general-purpose. They are designed to make cuts from slightly curved to the left to slightly curved to the right.